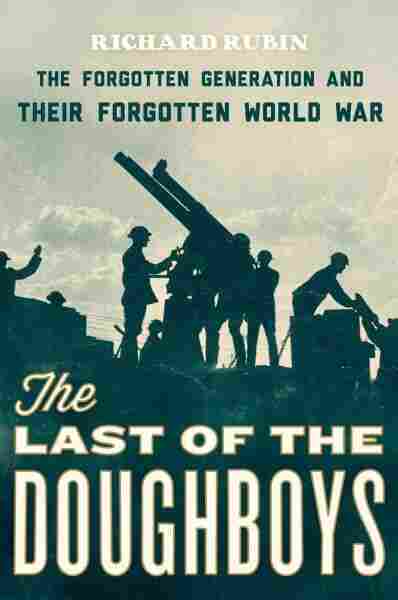 Interview: Richard Rubin, Author Of 'The Last Of The Doughboys' In 2003, Richard Rubin set out to talk to every American veteran of World War I he could find. With help from the French, he tracked down dozens of centenarian vets and recorded their stories in a new book called The Last of the Doughboys. Arthur Fiala, shown here in 1918 and 2005, was a private in the 26th Company of the 20th Engineers Regiment during World War I. Ten years ago, writer Richard Rubin set out to talk to every living American veteran of World War I he could find. 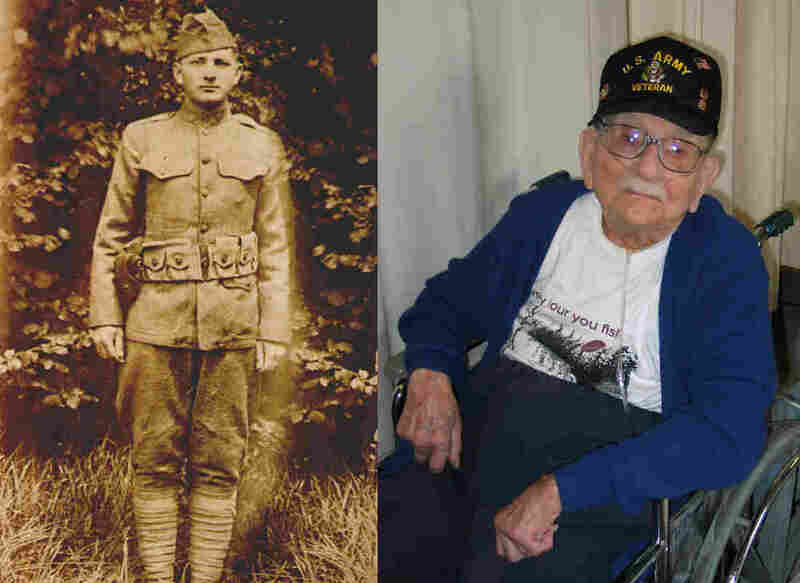 It wasn't easy, but he tracked down dozens of centenarian vets, ages 101 to 113, collected their stories and put them in a new book called The Last of the Doughboys. He tells NPR's Melissa Block about the veterans he talked to, and the stories they shared. "In 1998, the government of France had started awarding the Legion of Honor, their highest decoration, to living American veterans who'd served in World War I on French soil. And they undertook an intensive search for such men, and they ended up finding 550 or so men and women, and eventually I found a list of these people; and that was the first big break I got." "That's the kind of thing I don't think you ever forget, I suppose, if you see it — especially if you've just landed in-country after a long ocean voyage. But he — at one point we're talking, and he starts to tell me this wonderful story about stumbling into a mountain village in France, and the girls are wearing wooden shoes and carrying a yoke with milk pails. And he's invited into a house, and they keep a cow in the house on the other side of a partition from the living room. And, you know, a lot of people that I interviewed had really remarkable memories, but I think his was even special in that group." "Quite a few of them told me that they were telling me things that they hadn't talked about in 50, 60, 70 years. I asked a few of them why not, and the surprising response often was that nobody had asked." "I'm sorry to tell you that often that was a race that I lost. For everybody who's in this book, there's somebody I didn't get to on time. I remember one gentleman who lived out in Las Vegas. I spoke to his niece, who was his closest living relative. He was 108 at the time, and she said, 'Oh yes, he's very clear-minded, and he loves to talk.' So I booked the ticket for two weeks hence, and by the time I got out there he was unconscious in a hospital bed, and he died the next morning." 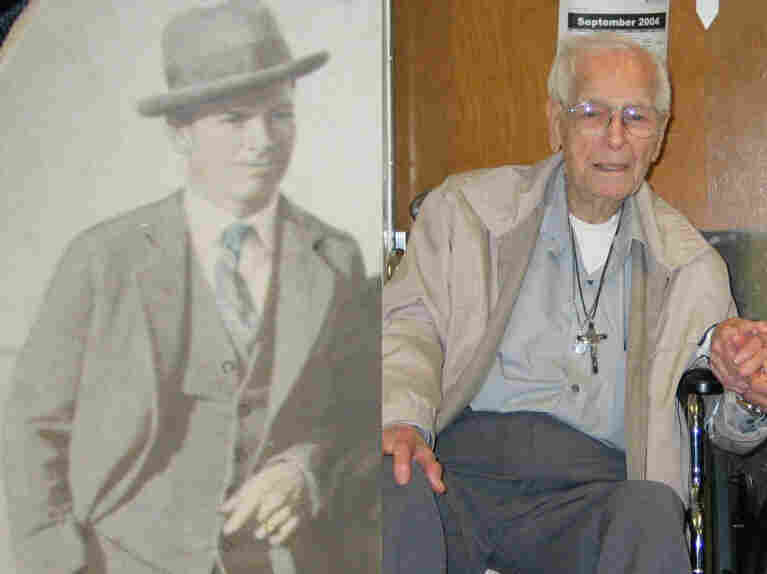 George Briant, shown here in an undated photo and in 2004, recalls Nov. 11, 1918, the day the war ended and the guns fell silent: "You looked like you were in a new land; you couldn't believe that everything is quiet". "He was walking around, and there were some men who had sought shelter in a patch of woods, and the Germans targeted it with artillery. And a number of these men were killed at that spot. And he came upon their bodies very shortly after that happened, and he said, 'Such fine, handsome, healthy young men, to be killed on the last night of the war.' He said, 'I cried for their parents.' I mean it's a terrible, terrible thing to lose anyone you love in a war, but imagine knowing precisely when that war ends, and then knowing that your loved one died just hours before that moment." 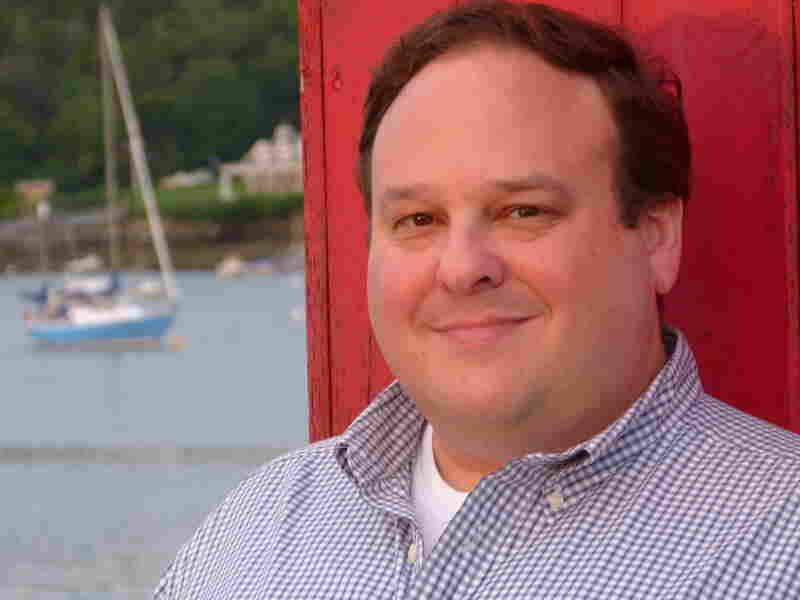 Richard Rubin has written for The Atlantic and The New York Times Magazine. His other books include Confederacy of Silence and Everyday American History of the 20th Century. "It was a strange thing. He started crying quite vigorously, but then a couple of minutes later he stopped just as suddenly, and his mood was actually the best it had been the whole time I was there. I like to think that maybe he purged something that he'd been carrying around for nearly 100 years." "That's a very interesting question, because once upon a time that was not so. If you walk around with your eyes open, you'll quickly discover that there are more monuments and memorials in this country to World War I than to any other war. So for some years after the war ended, it was terribly important to people that it and the people who fought it be remembered. But the war was also a terribly traumatic experience for this country. You have to remember that it didn't start like World War II — we weren't attacked. And Americans were in [World War I] for only about 19 months, and yet in that time we lost 117,000 men. It was a terribly traumatic experience, and afterwards America withdrew into itself. And then of course the Great Depression came along and World War II, and the Great War got pushed further back in our national consciousness."